From performing on SNL beside Dan Aykroyd, to pursuing photography and getting published by Vanity Fair, all while navigating mental illness; like yours, my journey has been a rollercoaster. 2001 (6 yrs. old) — Began an acting career, appearing on Saturday Night Live (beside Dan Aykroyd, Jimmy Fallon and Seth Meyers), Blue’s Clues and many more. “Eli Dagostino is an expert advisor when addressing those wishing to grow their brands. 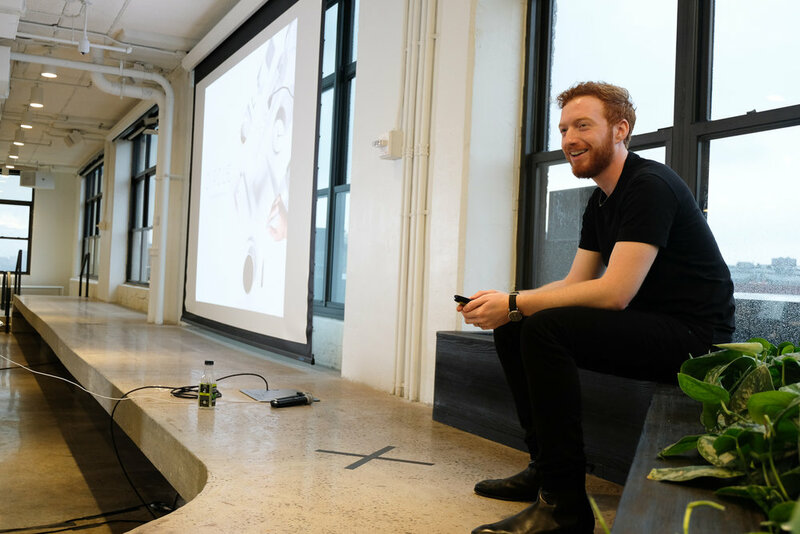 At our HQ in New York City, members of our audience took fastidious notes and photos as Eli's slides progressed, and people were lining up for his Q&A afterward. Collaborating with Eli was more like working with a close friend. We brainstormed the programming together, and we were in constant communication. Eli was dedicated to powerfully impacting our audience. We would undoubtedly recommend him." After an almost decade long internationally acclaimed creative career, my life was turned upside down by a rare form of mental illness. After months of healing, I reassessed my life and pondered what I wanted to do next. I now help creative people from all over the United States turn their passions into products and services that bring them joy. My soul-filling purpose is to help them smile more and worry less.